Continuing our look at the 11 November changes which are coming up fast so I’d better speed up these posts! 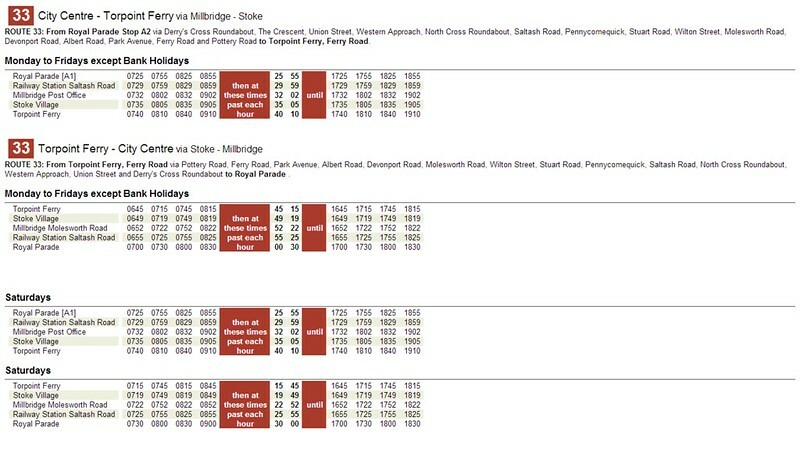 This service replaces old Service 27 between the City Centre at Torpoint Ferry. 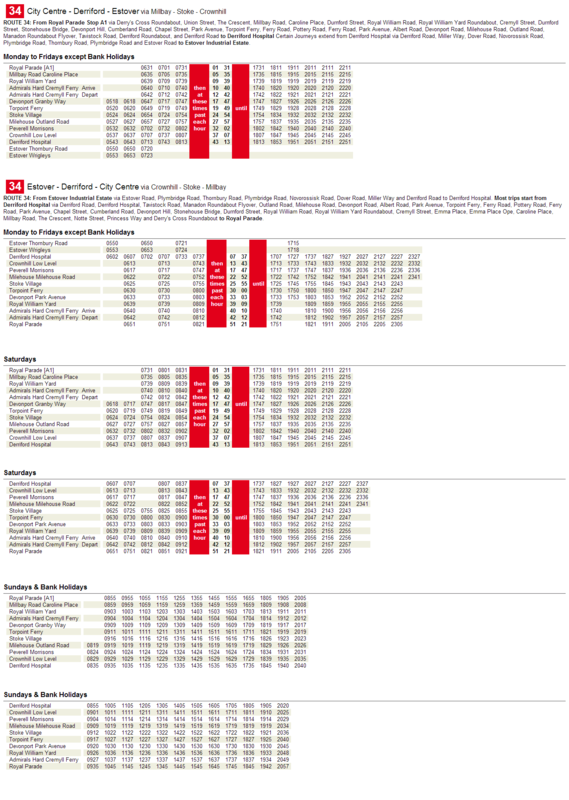 Service to operate up to every 30 minutes Monday to Saturday. Service 34 has been retimed to improve reliability Sunday to Saturday, with additional evening services being provided hourly Monday to Saturday with later buses operating on Sundays. Service timed to provide better connections with the Ferry’s. Citybus have allocated one more bus to the 29 and 34 to improve reliability as let's face it, these two services are hardly the most reliable they operate (though are by no means the worst). What do they do, merge the two together!! It also seems like they'll have to re-think how they'll provide the extra trip from Estover in the evening peak. At the moment, the Dart that operates the 1610 Service 50 to Derriford Hospital then runs Not In Service to Estover Ind Est. This bus would normally change to the __41 from Derriford though this does not operate at 1641. The 1656 50 comes from a 50. The 1706 50 comes from a 61. (Though 9 times out of 10 the 1656 comes in at around 5PM and picks everyone up while the 61 normally comes in at 5.05, sees the other Dart has picked everyone up and leaves empty, at the same time as the 1656 one). The 1708 62 comes from a 62. The 1715 duplicate 34 is handled by a B7 from the 101 school service and the Dart from the Industrial Estate that came off a 50. Upon reaching Royal Parade this Dart does a trip on the 16. This poses a problem for the B7 that has come off the 34 at 1630 from Royal Parade. 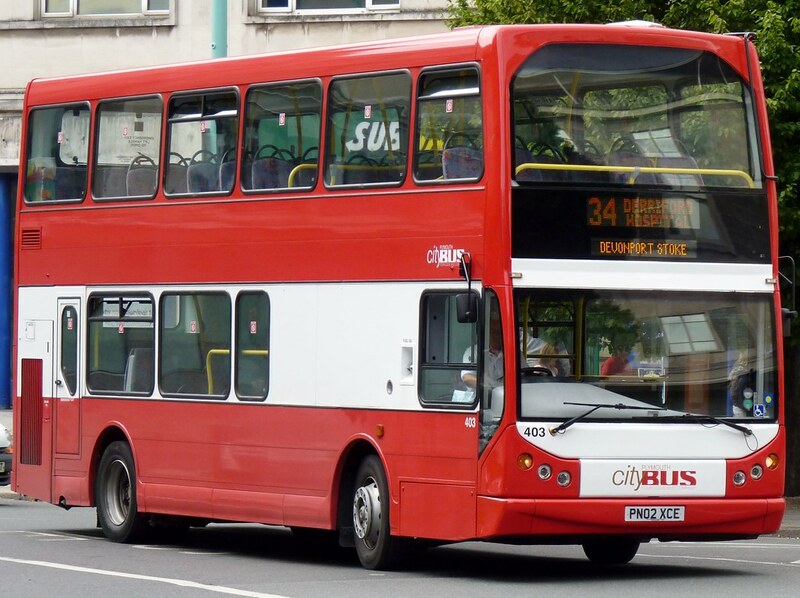 If it (as it normally does) change to a 34, then there would be 3 buses operating that service. Back to before the 16th April, the 102 that does a trip on the 50 was down as a B10M, so a duplicate low floor vehicle was needed, therefore, the 1630 from Royal Parade 34 changes to the 1716 50. Job done! This does mean that during school holidays the 1715 34 is down as an SPD and the 1716 50 is a B7 decker though there isn't really any other way to do it!